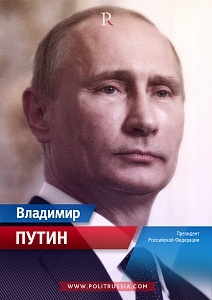 Vladimir Putin’s Political Alchemy 5 out of 5 based on 3 ratings. 3 user reviews. I believe the most remarkable aspect of Putin’s December 16 address was his emphasis on Russia’s and Russians’ need to change. The passing 2015 was very important in the sense that it made us aware of who we are, where we are going, and what we expect from the country’s political leadership. After the fateful 2014 when the elite and the people jointly decided it is time to restore the country’s superpower status, it was necessary to assure ourselves that we, the country, the people, the political elite, are willing to pay our historic dues. Independence, self-respect, and the right to determine own destiny are very expensive. Our enemies’ calculation was simple and pragmatic: Russians, once they understand they can’t ride into eternity on plush pillows, will opt for dreams of parmesan rather than actual black bread of great empire builders. After all, just recently the latest incarnation of the Russian Empire was traded in for jeans and Coca-Cola, so why would parmesan be worse? But this time the script did not work. Russians in 2015 did not regret their choice, and the Russian managerial elite finally consolidated around the president. Russia confirmed with word and deed its claim on a place at the table of world reorganization. That decision was made and solidified by the return of Crimea. There is no way back, and now we can talk about the global stakes, objectives, and methods of achieving them. Putin clearly indicated that we live in an era of creating new trade blocs and developing new breakthrough technologies, and Russia’s positioning in the context of these processes will determine its place in the future global division of labor. Occupying a worthy place in the world of the future is our country’s main challenge. In spite of the howls from the liberal and pseudopatriotic propaganda, the Russian state is strenuously trying to convey one very important thought to the society–there will be no “hot war.” Pro-West liberals are frightening the society using the prospect a US counterforce strike and are proposing to surrender in order to avoid it. Pseudopatriots are whipping up hysteria and are also trying to frighten the society with the inevitability of a global “hot war,” for which Russia is supposedly unready. They are chastising Putin for the lack of “mobilization,” although it simply means the pseudopatriots are unhappy with the fact that Putin is not willing to provide a fiery blogger with lifetime income, a personal dacha, and a Mauser to kill his personal ideological opponents. Even the strongest economy is not worth a broken penny if its financial power is not aligned with military power. The President publicly thanked our soldiers and defense workers, because it is thanks to their efforts that Russia is a member of a small, elite club of states which have the ability to decide their fate independently, and to defend their interests in any part of the world. Look at the military and the defense industry and compare to what was there 10 years ago. If 10 years ago a futurologist were to predict that military service would become prestigious, hazing would disappear, and the Russian Armed Forces would become modern, prestigious, respected, and fashionable in a good way, nobody would have believed him. At best he would have been told something like: “if all the generals are arrested and shot, the warrant officers scattered four winds, and generals’ dachas leveled with the ground while showing all of that on TV, then maybe something would change!” Putin is a past master of achieving evolutionary changes without showiness, campaigning, and “bloodbaths” which can easily spin out of control and target the innocent together with the guilty. The army underwent reforms and hundreds of arrests and dismissals with the media chose to ignore because it was impossible to make a show out of them. As a result the society is, if anything, rather surprised. “We unexpectedly got an outstanding military!” say some, and the particularly gifted pseudo-analysts are trying to convince the society that it all happened magically and in spite of the government’s efforts to “destroy the country’s defenses.” But the simple answer is that the army is the product of many years of efforts, without hysteria but with persistence. The results are there for all to see. It’s the same in the defense industry. No public hysteria and campaigning but sustained and persistent work demanding considerable material and personnel resources. Putin’s enormous accomplishments to Russia’s benefit also include his demonstration of the country’s ability to address the most complex problems in an evolutionary and not revolutionary process. We still need to appreciate and become cognizant of that fact, and the sooner we do it, the better. If the army and defense industry are the lead fists of the Motherland, the economy is the gold in its wallet. In a global hybrid war, the boundary between civilian and military sphere vanish. On the one hand, export of security services can be a source of income and a guarantee that the markets thus penetrated will not go up in flames of a civil war, foreign intervention, or terrorism. On the other hand, already the ancients said that nary a fortress can withstand a donkey laden with gold and that wisdom has found its confirmation in the current era of mass bribery of elites and organizing color revolutions. It turns out that the army is the foundation of the economy, while cash is a very effective weapon. The President has once again indicated how the Russian economy ought to be constituted in order to withstand the period of global hybrid war, and here of importance is not just what he said but also what he did not say. The official discourse no longer contains the phrase “the invisible hand of the market,” on the wisdom of which relied a part of our establishment and expert community. The hand of the state is now playing the leading role and supporting vulnerable branches of the economy (construction, machine-building, etc. ), assigning funds to develop industries and even procuring up to 30% of products from plants established using special investment contracts. The state will undertake to support exports, using the Russian Export Center, and even support the procurement of foreign technologies and patents which individual enterprises cannot afford. Russia is a country of miracles and non-linear thinking, and we are observing how before our very eyes the slow and difficult process of launching Russia’s “state capitalism 2.0”, even though officially it does not exist. So on the one hand we have no state capitalism, but the state’s role in the economy is growing. The economy will be fine. Not immediately and not soon, and not without difficulty, but it’s moving in the right direction. The procedures for stimulating and supporting the economy are being built, developed, and purified of corruption. There will be results. Our era is an era of reformatting the existing world order and creating new trade and economic blocs, and participation in these blocs determines the future of individual countries and whole regions. The size of available market determines the upper limit of production, and there’s no way around it. Even the largest of countries such as China are pursuing economic integration in order to expand their markets, increase the sophistication of labor distribution, and make the production chains more efficient. One must not isolate oneself, one must not pretend that nothing is happening, and one must not make a mistake in adopting the proper integration model. Kiev made such a mistake, and now people talk about Ukraine like they do about the dead: either nicely, or not at all. Right next to Russia is the epicenter of economic growth in our century, China and the Asia-Pacific region as a whole. With China one can use various strategies. One can join a cordon sanitaire which the US is trying to build, but that would be catastrophic stupidity. One can pretend that China does not exist, but that’s a lot like the first option. Or one can use China’s desire to create a reliable corridor to Europe and make itself safe from naval blockade by the US. Putin chose the wisest and most profitable option, namely securing the transit routes between Europe and PRC. In order for that to become a most profitable option for both Russia and the PRC, one first must win the battle for Europe and the Russia-China tandem is actively working on it. Putin’s dry formulation that “we have reached an agreement on principle to align Eurasian integration with the China’s New Silk Road concept” conceals the colossal effort and huge potential gain it implies for our country. Look at the map. 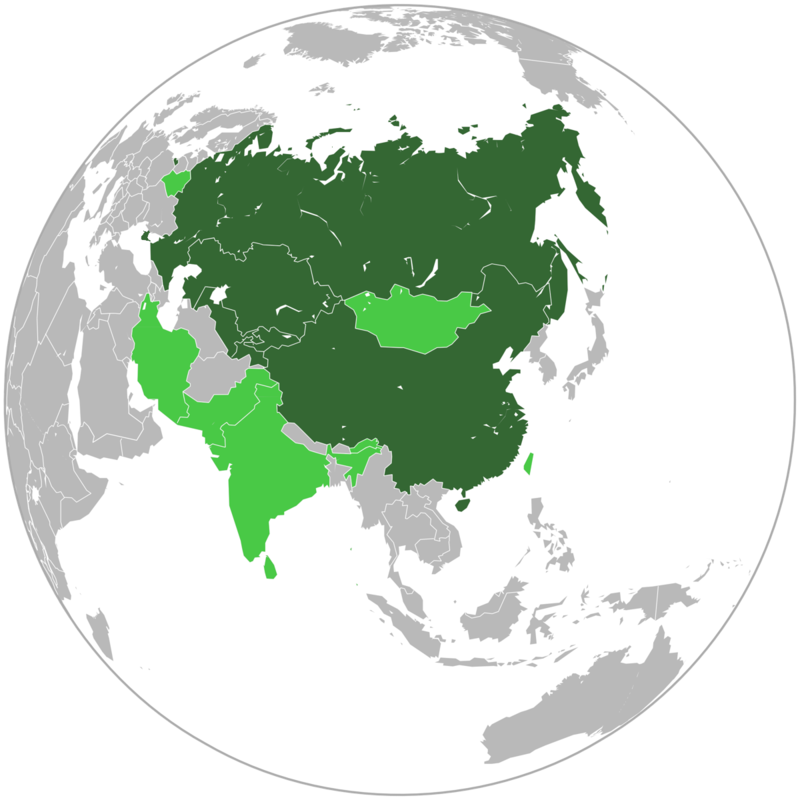 If the SCO becomes an economic bloc, then it will dispose of the majority of the palent’s resources, half the Earth’s population, and aggregate GDP only slightly lower than US plus EU combined, though if one is to calculate it honestly then it would surpass these two economies. If even a few ASEAN countries join this bloc, the West would become a global periphery. This is an improbably ambitious and a very distant goal, but an achievable one. Establishing such a bloc would be the best gift to the future generations of Russians. Our strength lies in unity. This is the guarantee of the great future of our Motherland, and this is what our President is constantly telling us. Our strength lies in our unity and if we are united we will inevitably achieve everything we desire. I love Russia, but that article makes me puke. We ARE irreparably divided already. Divided by our income. Divided to those whose faces cracks with lard dripping out of it and those who eat literally dirt.